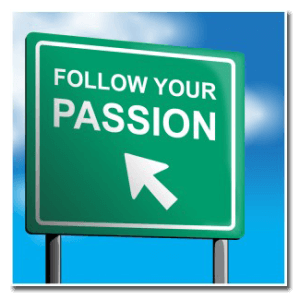 What is the Passion Blog? Better is one’s own dharma though imperfectly carried out than the dharma of another carried out perfectly. Better is death in the fulfillment of one’s own dharma, for to follow the law of another brings great spiritual peril. Simply put: better an imperfect you than a perfect imitation of someone else. What I think of as passion others might refer to as “calling” or dharma — the reason that you are here; the things you are meant to do to leave this world a more humane place. Look around — passions drive us — to take risks, to look foolish, to show courage or grace under pressure. This is conversation of the Passion Blog. Let’s hug trees with more than sweaters!